Kyoto is a popular destination for tourism, filled with world heritage sites, and is great to travel to year round. While exploring Kyoto and its food culture, the pure, clean water and the delectable vegetables produce an enjoyable cuisine that brings out the flavor of ingredients. Visitors here are lured in and held captive by the region’s renowned and delicious vegetables. 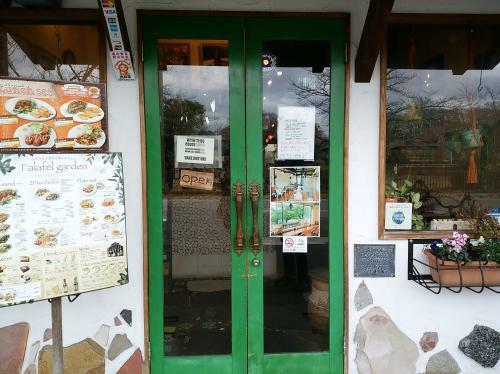 There are plenty vegetarian restaurants and restaurants accommodating to vegetarians in Kyoto, due to the number of visitors from overseas. 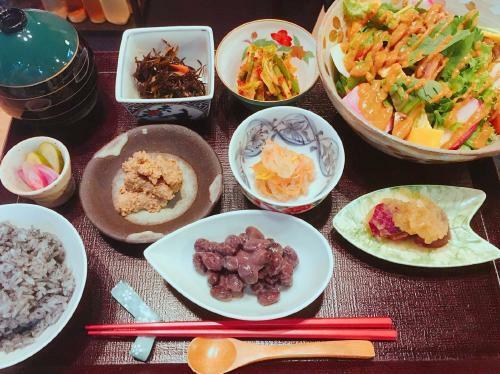 This time, the restaurants we have chosen to introduce are not only establishments offering traditional Buddhist cuisine, but restaurants with menus that highlight and bring out the flavors of Kyoto vegetables. * Restaurants that are not strictly vegetarian or vegan are listed in the following categories: vegetarian options, vegetarian and vegan options, and vegan options. 21 Patisserie YoupiYoupi, Shiga/Seta – Make the Extra Trip! Miyakoyasai Kamo is very popular restaurant that has people regularly standing in line waiting to eat here. 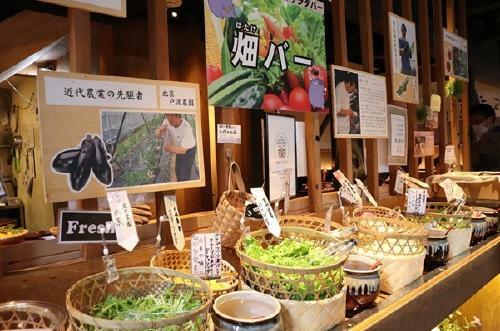 The style of this restaurant is an all-you-can-eat buffet of seasonal vegetables carefully selected by certified Japanese Vegetable Sommeliers. It’s necessary to queue in line as soon as this popular restaurant opens. The high-quality and healthy menu here consists of produce picked and harvested that morning, and all of the vegetables here are organic and produced with little chemicals. The vegetables at the Garden Bar have introductions of the farmers who grew them, creating a fun atmosphere when you pick out what you want to eat. Customers can also reserve vegan temari sushi for dine-in or take-out here. There are plenty of fresh vegetables used for the Kyoto-style home cooking, which is known as “obanzai” in Japanese. There are also are steamed vegetables, soup, curry, and different varieties of noodles, making it hard to decide what to eat amongst the numerous choices. 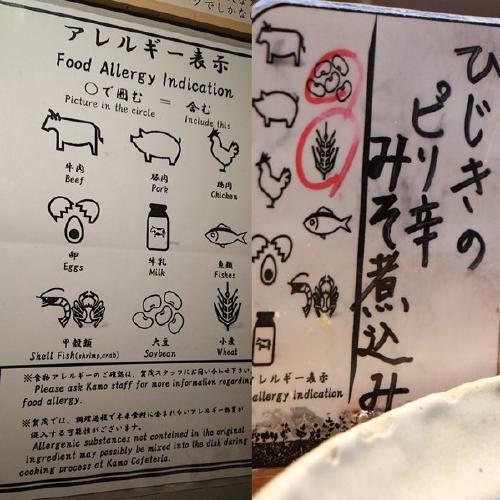 There are food allergy displays that make it easy to understand the vegetarian menu. 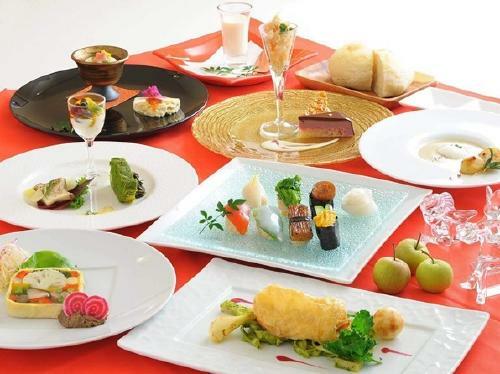 The buffet price here is surprising, as you can eat lunch for just 890 yen and dinner for 1,370 yen (prices include tax). On top of this, the morning “light meal” costs 500 yen and includes all-you-can drink beverages. 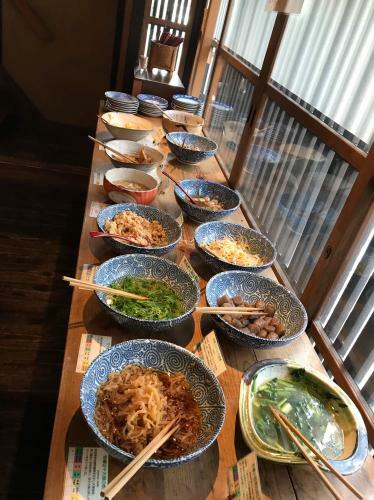 Restaurants in Kyoto open during breakfast hours that offer so many delicious and nutritious vegetables for an affordable price are quite rare, making Miyakoyasai Kamo a must-visit! 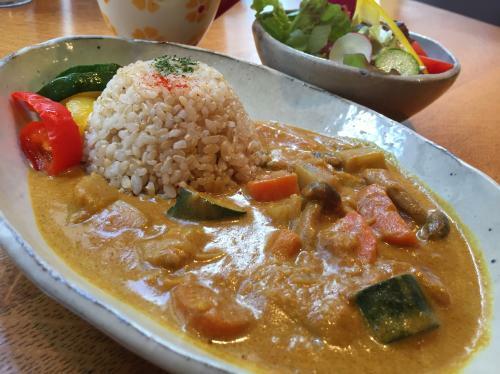 Nearby to the popular sightseeing spot of Fushimi Inari Taisha is Vegans Cafe and Restaurant. The Matsuda couple used to operate a yakiniku (Japanese barbecue) restaurant but began this vegan restaurant after realizing the importance of life. 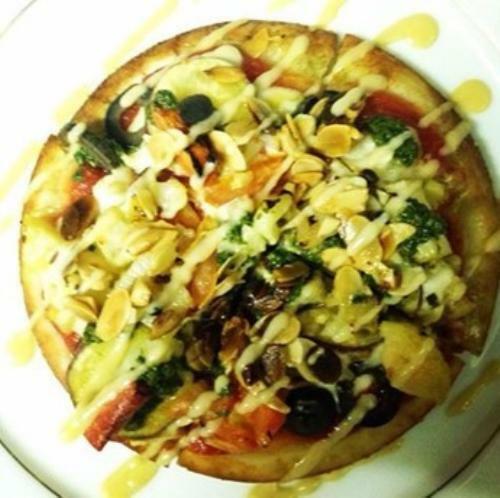 The menu is the result of Vegan’s endeavors to bring out the tastiness of vegetables. Pictured above is the Tonyu Miso Ramen, or Soymilk Miso Ramen (1,728 yen including tax), presented in a beautiful bowl packed with toppings. This ramen could be large enough to be enjoyed by two! 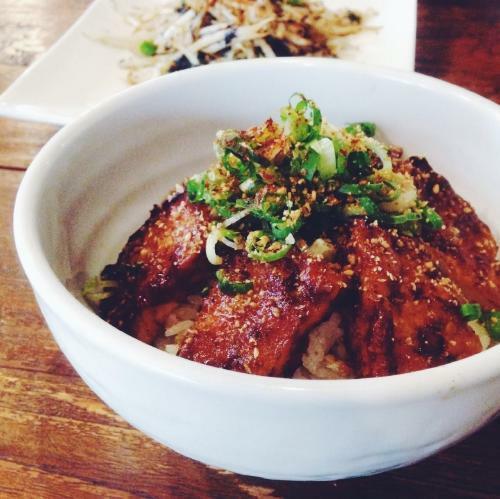 The miso used is made from naturally-grown soybeans from Kyoto’s Nantan area and natural koji. We could drink this fragrant and rich soup every day. 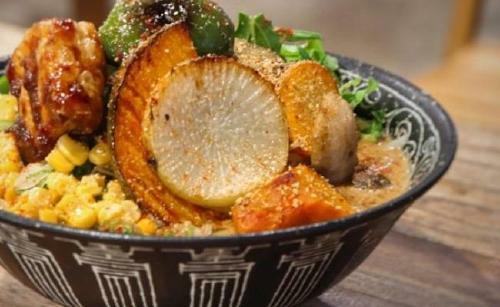 The above dish is featured as one of Vegan’s most popular dishes, Sumibi Atsuage Don, or Char-Grilled Fried Tofu Bowl (medium size is 972 yen including tax). With a similar taste to meat, the fried tofu is deliciously cooked, and the original yakiniku glaze is sweet and salty. CHOICE is a restaurant produced by Doctor Suzuki Harue, based on medical and nutritional science and whole-plant food. The entire menu is vegan and gluten free, full of dishes that contribute to your inner and outer beauty, and health. 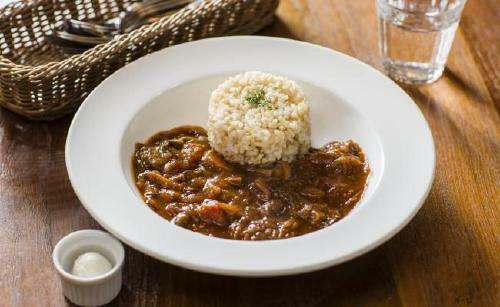 The menu is plentiful with dishes you wouldn’t imagine could be plant-based, from stroganoff with vegan butter (pictured above; comes with a salad for 1,200 yen excluding tax during lunch hours), to pasta, hamburgers, and quiche. At CHOICE you can also purchase vegan cheese, which is still very hard to find in Japan. Have fun choosing from a number of different flavors from smoked to butter, to sansho (Japanese pepper). Dishes at the restaurant including the salad and the taco rice also allow you to sample this cheese. We also recommend trying the guilt-free dessert menu here for a relaxing pause in your day. 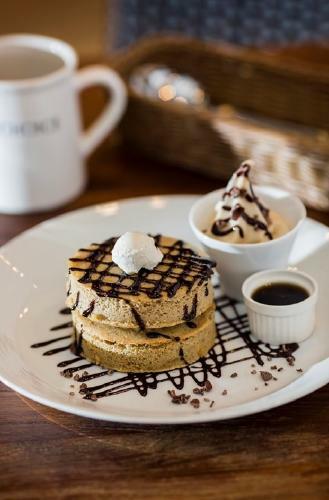 Be sure to try the nourishing desserts, like the brown rice milk and amazake soft serve, and pancakes. At Hale you can dine on vegetable-based cuisine including delicious soft yuba, or tofu skin, in a delectable ankake sauce. 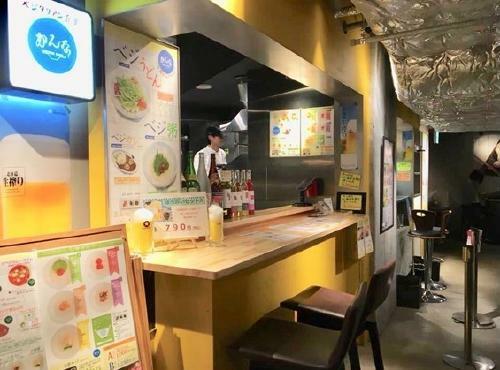 Located in a relaxing nook, hidden in the middle of the bustling shopping arcade of Nishiki Market, you can have a lunch satisfying both your stomach and your heart. The Lunch Set (1,500 yen, including tax) includes yuba and mushroom in ankake sauce with rice, along with Kyoto-style home cooking sides using seasonal ingredients. The peaceful atmosphere of this Japanese-style restaurant makes the hustle outside the shopping arcade hard to believe. Hale was originally passed down from the restaurant owner’s grandmother, who specialized in the Japanese kelp business. Please be sure to contact the restaurant about evening hours. 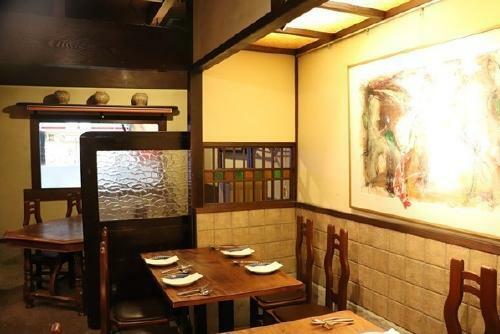 Da Maeda is an Italian restaurant in a reconstructed Japanese townhouse. Entertaining for both vegetarian and non-vegetarians alike, this is a place where you can spend a great time. 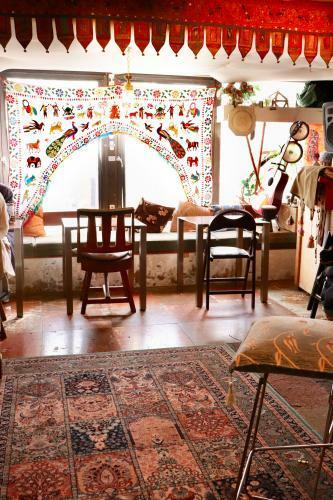 This restaurant takes on Italian from a macrobiotic and raw food perspective, offering fresh and novel cuisine. Pictured above is the stone-oven vegan version of the baked Napoli-style pizza (small size for 1,000 yen, large for 1,900 yen, prices excluding tax). There is also a gluten free crust available. The vegan pizza has cheese made from cashew nuts, making this a perfectly satisfying plant-based pizza. Da Maeda also uses farm-produced, organic vegetables. 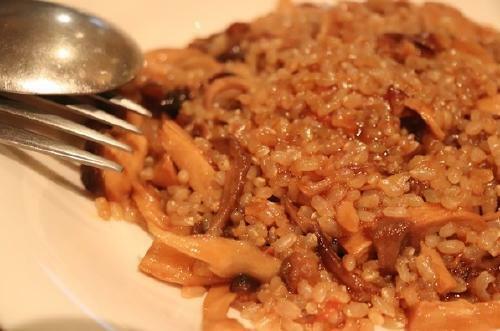 We recommend the Italian porcini mushroom brown rice risotto (1,400 yen, excluding tax). The Italian porcini and mushrooms are dried using raw food cooking techniques to produce a final product with a mouth-watering aroma. LITTLE HEAVEN is a reservation-only restaurant where one can leisurely dine on Kyoto vegetables in an international cooking style. 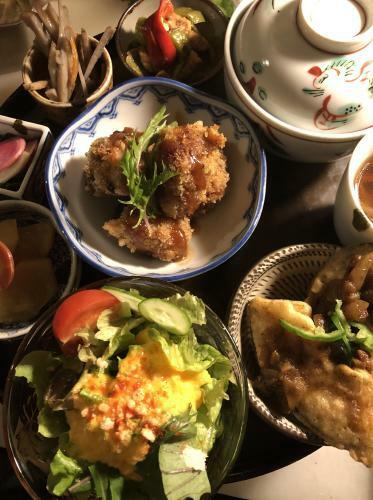 Visitors here will be elated with the variety of food here prepared by the experienced chef, including dishes made from Kyoto-specialty yuba, or fresh tofu skin, and fu, or Japanese wheat gluten. There is also vegetable sushi offered here that you can’t find at any other restaurants. Additionally, LITTLE HEAVEN offers a course menu. Falafel Garden is a restaurant serving genuine Middle Eastern cuisine, operated by an owner who comes from Israel. 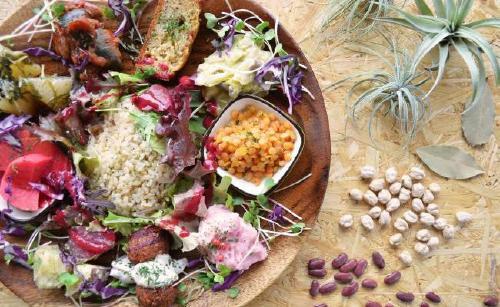 This is a place where you can dine on authentic flavored-dishes using fresh homemade herbs and spices brought from Israel. Falafel Garden’s food, including but not limited to falafels, sauce, and cake, are all homemade. Starting with a falafel pita, there are hummus and many other vegan options available here. 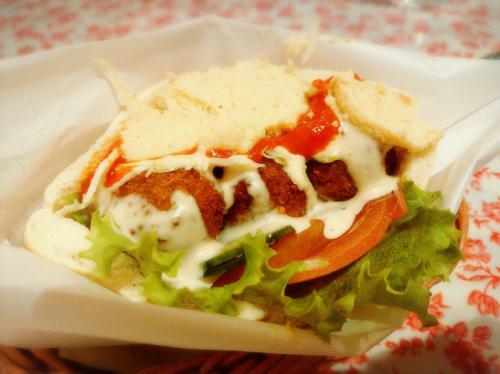 Pictured is the Falafel Pita with a hummus topping (small size for 450 yen including tax). The avocado pita is also worth trying (medium size for 970 yen including tax). 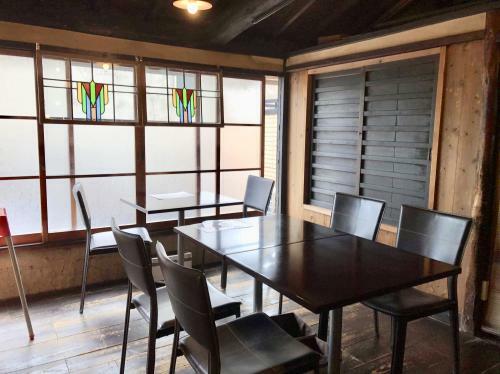 Veg Out-vegan cafe is a restaurant where one can dine leisurely overlooking the Kamogawa. With an emphasis on local, organic produce from the suburbs of Kyoto, everything on the menu is beautiful and photogenic. Photographed above is the Obanzai Plate (1,500 yen excluding tax),which includes one plate filled with 9 varieties of the daily special. Veg Out is easily reached by foot from Kyoto Station and is open daily from 8AM, making this an ideal spot for travelers and visitors from out of town. For breakfast, you can choose from an acai bowl with homemade soy yogurt to toast. 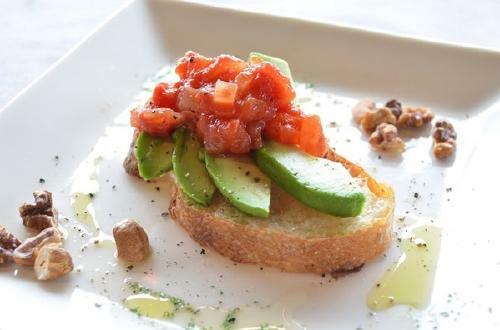 The varieties of toast include avocado and tomato salsa, chili beans, and hummus, providing a nice head start to your day. Veg Out uses bread products made from domestic wheat and natural yeast from Taro Bakery in Kyoto’s Ukyo Ward. “Create life” is the concept of mumokuteki cafe. mumokuteki cafe of course provides meals, but also produces and sells everything from food products to clothes, to interior and miscellaneous goods. mumokuteki is always filled with young customers, who either identify with a people-friendly, earth-friendly lifestyle or like the delicious food without knowing the concept of the shop. 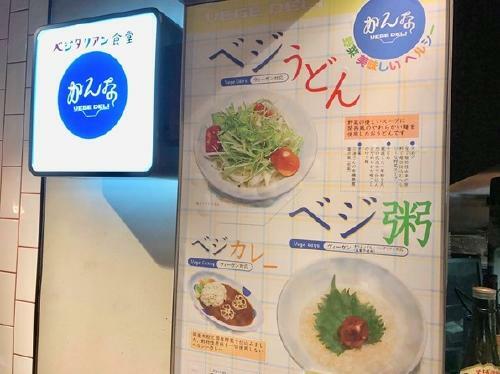 The large menu of dishes like katsudon and ramen without meat, egg, and dairy products, also support health-minded diners at this popular restaurant that everyone can enjoy dining at. 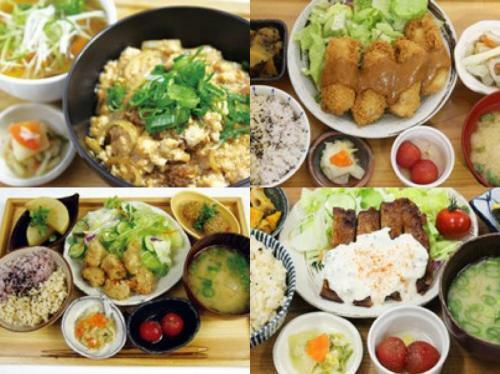 The most popular item is the Okaraage Plate (1,150 yen, excluding tax, pictured bottom-right). Okarakonyaku, a combination of okara, a soy product, and konnyaku,which is derived from potato. 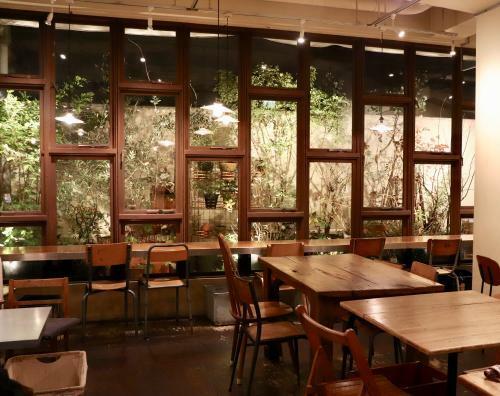 mumokuteki cafe prioritizes using organic products, although most dishes are priced close to 1,000 yen, making the healthy food here more accessible. Situated in a remodeled Japanese townhouse, Shokudo Yamagoya is a retro space of relaxation like no other. 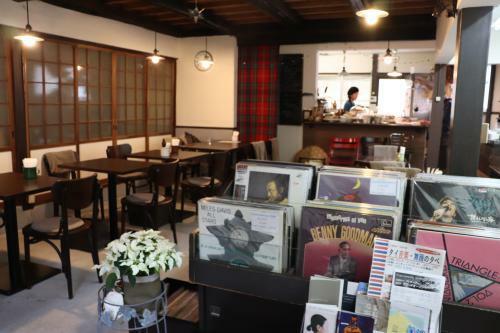 Customers here can enjoy meals with nutritious brown rice and organic Uji vegetables, while listening to music chosen by the owner who used to work at a record store. Pictured above is Ohirugohan (1,100 yen including tax). 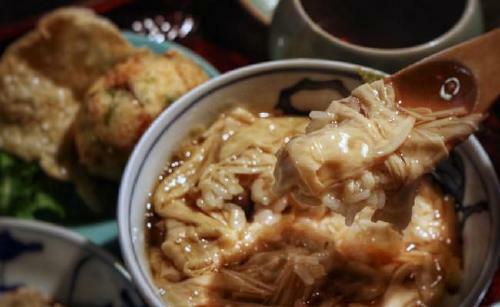 A specialty of Yamagoya is cooking that brings out flavor of the brown rice through the accompanying side dishes. With fluffy and soft tempeh, fragrant vegetable pakora, and hot and flaky fried kuwai (a type of chesnut), you can taste a number of different items throughout your meal. The natural brown rice is mixed in with wild rice, red rice, and black rice, changing the texture of the cooked rice. 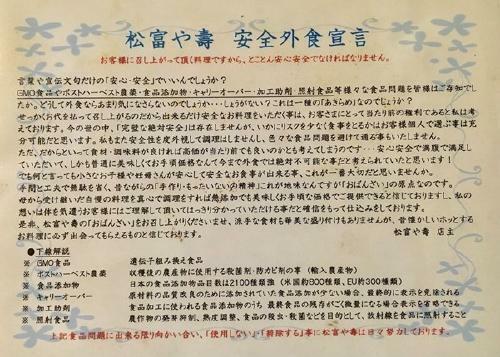 Aromatic rice grown in Uji without agricultural chemicals is also used. Close by to Kyoto University, asian chample foods goya is a restaurant where you can eat plenty of vegetarian and vegan Okinawan cuisine. Herbs and spices are generously used in the cooking here. Utilizing both the deliciousness of ingredients from Kyoto and Okinawa, you can also enjoy dishes from around the world that changes depending on the time of year. We especially recommend trying the Nasi Campur Plate (880 yen including tax) for lunch. 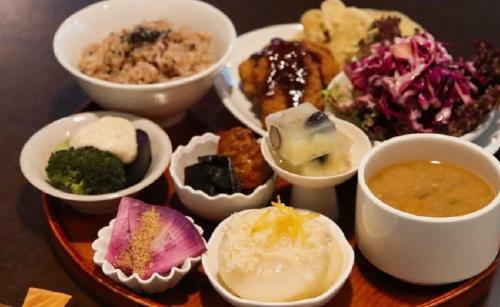 The plate is consists of the daily special side dishes using in-season vegetables and ingredients from Okinawa, and comes with a side of miso soup, that uses miso from the Okinawan island of Kume. Vegetarian and vegan-friendly options are available in addition to non-vegetarian dishes, making this an ideal spot for flexible vegetarian guests as well. Above is the Yushitofu Set Meal (vegan option available, 1,080 yen including tax), made using ingredients from Okinawa. 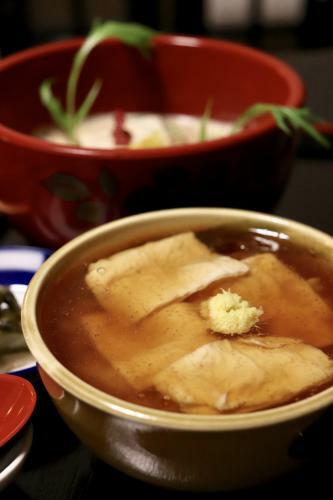 The tofu made from natural nigari is combined with Shekwasa, a type of citrus, and shoyu. It is very healthy! 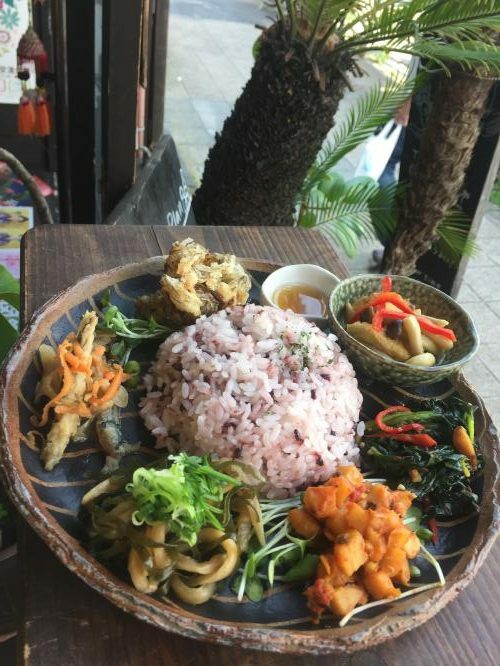 The rice is purple rice from the Okinawan island of Ishigaki, mixed together with Kyoto’s springy Hinohikari rice. On the day that we went, we had kintoki carrots cooked in miso, alongside seaweed tempura seasoned with Okinawan salt. 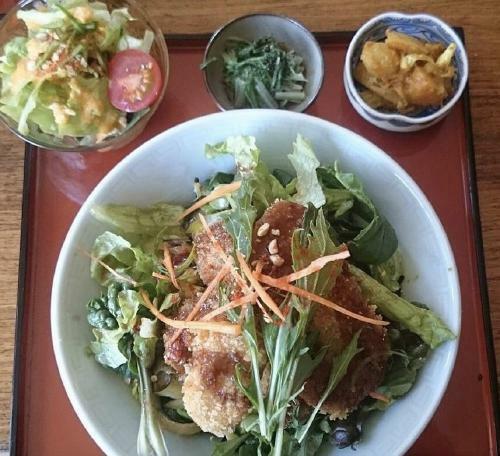 We also recommend the Shimadofu Katsu, or Breaded Okinawan-style tofu, as well as the taco rice. 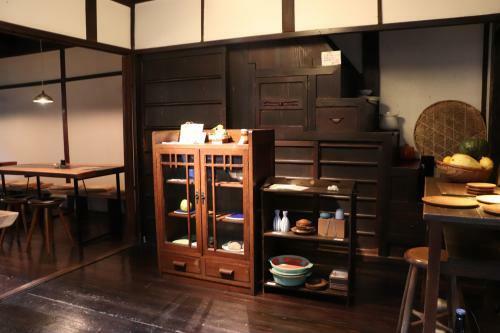 Visitors here will be rest-assured with safe all-you-can-eat Kyoto-style home cooking, known as obanzai in Japanese. 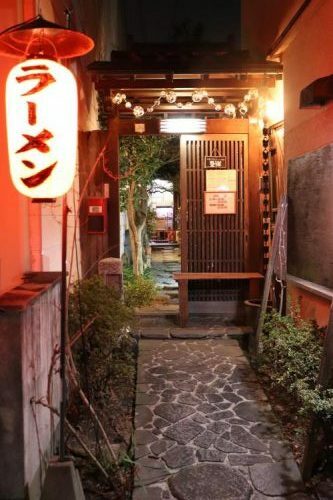 The restaurant is housed in a Japanese townhouse built 90 years ago, making a fun environment to have a meal. The buffet price is very reasonable for 1,080 yen on weekdays and 1,490 yen on weekends and holidays (both prices include tax). 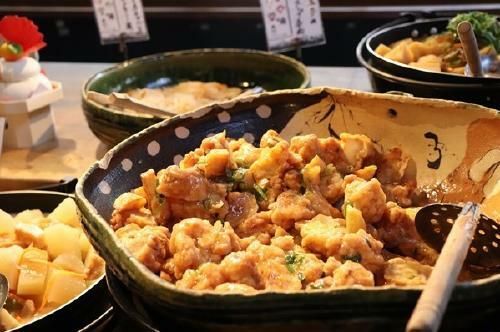 There are around 15 kinds of obanzai dishes on weekdays and 20 on weekends, and you can also taste specially-grown Koshihikari rice and miso soup. The miso soup uses domestically-grown ingredients, such as soybeans from Kagoshima. Your body and stomach will thank you for this food. No animal-derived soup stock and no salt are used in the cooked dishes and miso soup at Matsumotomiya Kotobuki. The stir-fried dishes are also prepared without oil. The easy-to-understand cooking cards signify which food is vegan here. The food here is delicious and satisfying, in addition to being safe and with traceable, sources made with domestically grown ingredients and no chemical additives, and cooked without added salt. 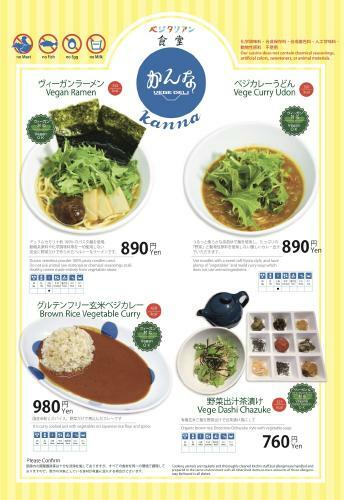 VEGE DELI Kanna may very well be the first restaurant with a vegan menu inside a food court in Japan. Here you can conveniently get a meal without animal ingredients, as well as without chemical additives and preservatives. VEGE DELI Kanna is the sister store of previously-mentioned Matsutomiya Kotobuki. Located inside the Kyoto Tower building, it is simple for visitors and travelers to enjoy dining here. All of the soup stock is plant-based. The menu includes dishes like veggie curry udon with Kansai-style noodles, gluten-free curry, and chazuke. There is also veggie ramen. Feel free to stop by when your stomach is feeling a little empty. 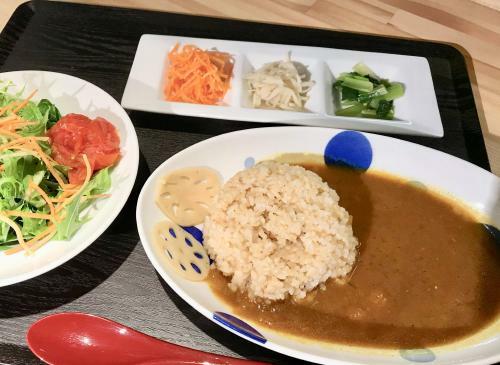 Pictured above is the gluten-free curry (980 yen including tax), cooked with just domestically-grown rice flour and vegetables. It’s only 420 calories! VEGE DELI Kanna is an unexpected restaurant to find in a food court with its high-quality ingredients and detailed attention to cooking. 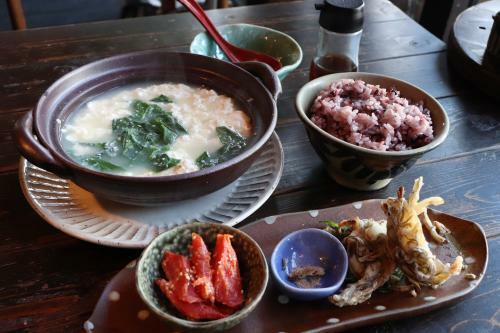 The chazuke with the vegetable soup stock uses Joshuhaku pickled plum from Aodaniumetanikobo and organic brown rice. Natural food village was started by the musician-owner who traveled throughout Japan and the world. The restaurant prioritizes pesticide-free, organic ingredients, and uses safe seasonings and condiments. Natural food village also offers its dishes cooked using water specially pumped from Kitashirakawa. This popular dish is Nijiro Gozen (1,200 yen including tax), a set of seven varieties of side dishes, wild rice, and miso soup. We think it it is the perfect, creative vegan meal for all types of customers. We usually can guess what a dish will taste like visually, but the food at village tastes even better than its looks. 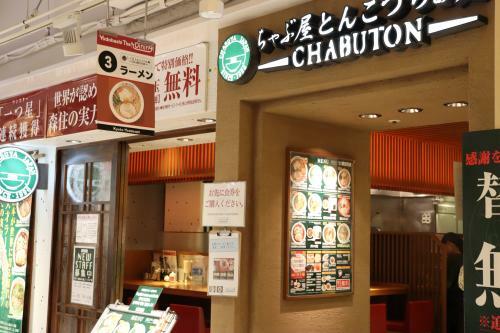 It’s not easy to choose which food to try here, with the many vegan dishes on the menu, including the Veggie Katsudon (1,100 yen including tax), Veggie Pad Thai, Soymilk Khao Soi, and Soymeat Chanpuru. 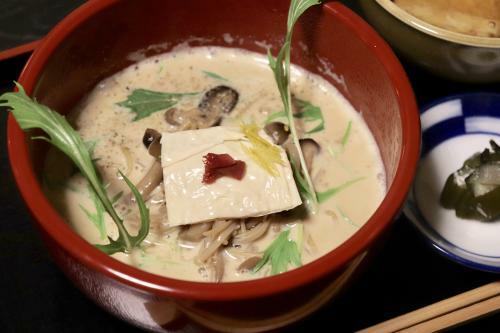 Soymilk Ramen TowZen was created based on providing oriental vegan (vegan without using the five pungent roots) ramen using the fundamentals of traditional Japanese Buddhist Cuisine. The Musashi (950 yen including tax) is a rich, deep-flavored ramen using two different types of soymilk. All types of customers frequent here, and the atmosphere is inviting even for solo diners. Toppings like yuba and Sansho-peppered mushrooms add a textural accent to the ramen. You can customize the ramen to your liking by choosing from organic noodles and gluten-free rice noodles, in addition to the amount of noodles in the soup. The amber-colored Yuba Ankake Donburi (550 yen including tax) and the Unagi Kabayaki-style Vegan Oshizushi (two for 550 yen including tax) are also delicious. 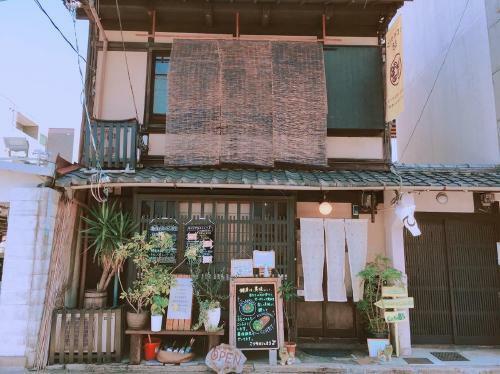 Be sure to stop by this atmosphere-filled ramen restaurant. 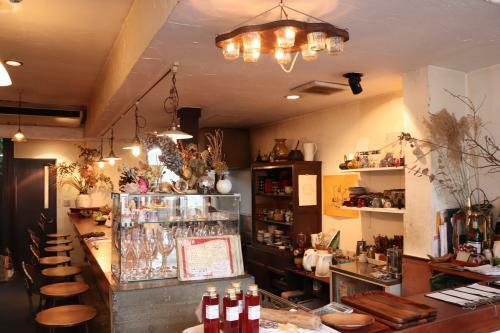 Koso Cafe 85 is hidden among a myriad of shops in a refurbished traditional townhouse. The fermented food on the menu here is healthy and beneficial to the development of both inner and outer beauty. Fermented brown rice in Japan is popular, and Koso Cafe 85 prepares theirs very well. Usually cooked simply with adzuki beans, Koso makes their enzymatic rice luxurious with a 7-grain mix, hijiki seaweed, kelp, daikon strips, agar, shiitake, burdock, and liquid from fermented brown rice. Koso Lunch (1,200 yen including tax) is a Kyoto-style home cooked meal with homemade plant-based kimchi, simmered with hand-picked hijiki. It also has tofu, topped with detoxifying grilled hemp. The waranatto, a special type of fermented soybean, is made with pesticide-free soybeans and is also very popular. 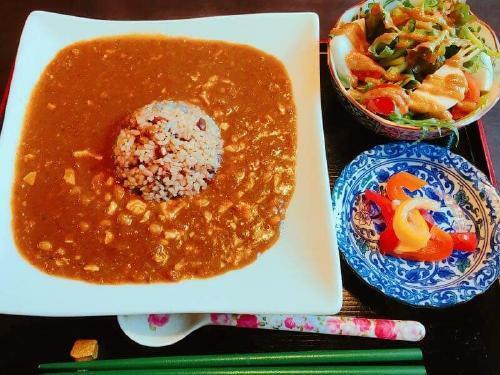 Pictured above is the 85 Curry (1,380 yen excluding tax), a vegan, plant-derived, fermented food-based curry using exclusively organic and pesticide-free vegetables. 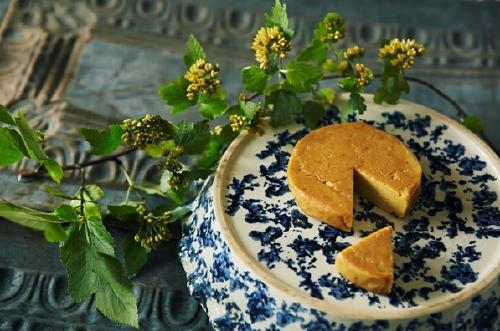 Papa Jon’s is famous for its New York-style cheesecake in Kyoto. Last year, the restaurant started offering vegan curry at the Papa Jon’s Cafe. Visitors can enjoy this meal and a drink for 1,080 yen at lunchtime on weekdays. The curry roux is gluten free and made with coconut milk and curry spices. The curry comes with an assortment of vegetables and ingredients. Try adding some black pepper on top to try a different but delicious flavor. 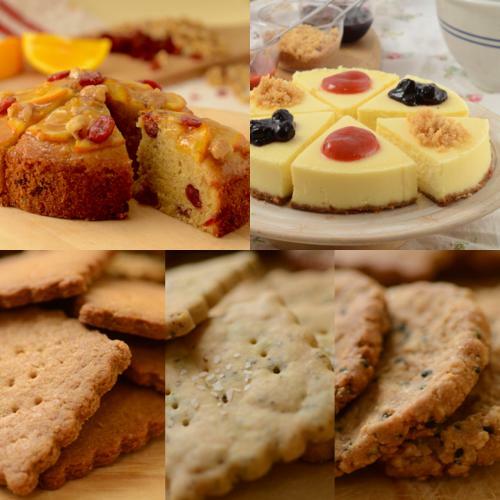 In addition to the gluten-free cheesecake and faintly sweet honey, we recommend for vegan diners try the cookies. These desserts and sweets are made with ingredients good for the body. Padma is a cozy restaurant inside an art-deco style remodeled Japanese townhouse, built around the concept of peaceful food. 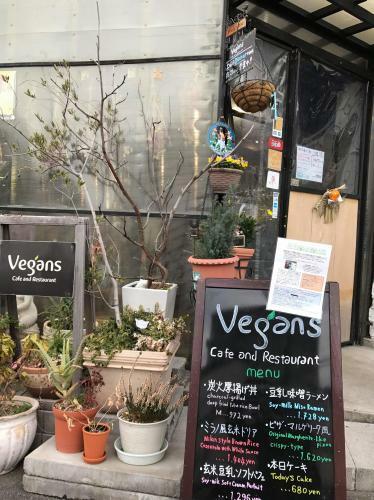 Visitors can sample many different plant-based vegan dishes here that really bring out the tasty flavors of Kyoto vegetables. 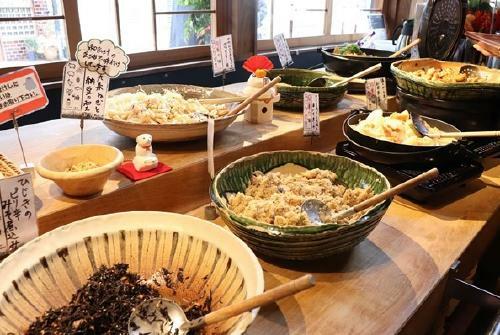 If you want to taste truly delicious vegetables, we recommend the Heiwateki Gohan Plate (1,300 yen including tax), or Peaceful Rice Plate, which is a presented on a tray filled with seasonal ingredients. 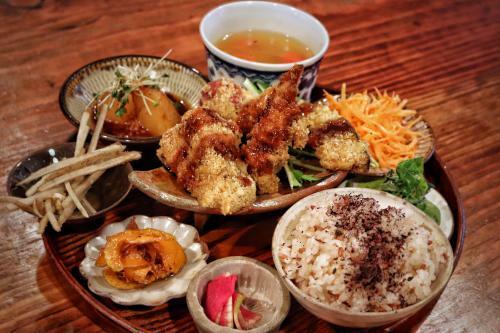 The meal consists of one of three main dishes that you can choose from, seasonal tempura, soup, and rice. You can also choose between unpolished rice and Uji aromatic rice. On this day (pictured above), we had pumpkin and carrots and chose tempeh croquettes. The fried croquette with miso on it is soft and flaky, making each bite delicious. 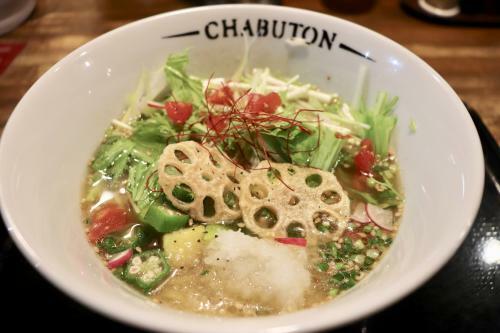 Chabuton is a Michelin-star ramen restaurant with Shin Yasaikei Ramen available, which is vegan (750 yen including tax). The noodles are thin and the ramen is packed with vegetables. The broth is made with shoyu, or soy sauce, and vegetable base. Grated daikon radish tops of the dish, making it tasty and easy to enjoy for many customers. There is also the 5-piece veggie gyoza set (320 yen including tax) that is vegan-friendly. 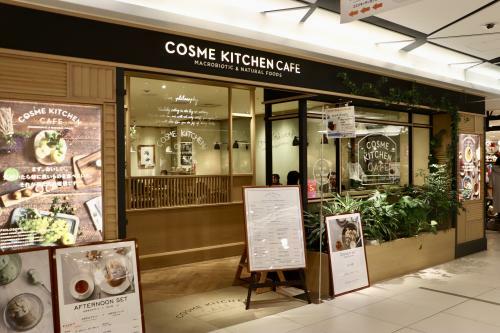 Cosme Kitchen cafe is a popular restaurant where one can leisurely dine on a wholesome meal. The vegetables here are organic and specially-cultivated, and the food is chemical-additive and preservative free. As a result, the dishes are beautifully presented here and photogenic. Desserts and sweets are also available at Cosme Kitchen cafe. We also recommend visiting during dinnertime. 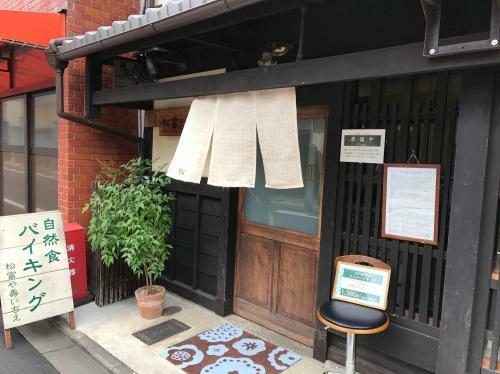 Patisserie YoupiYoupi, Shiga/Seta – Make the Extra Trip! If you’ve come all the way to Kyoto, why not travel to neighboring Shiga Prefecture? 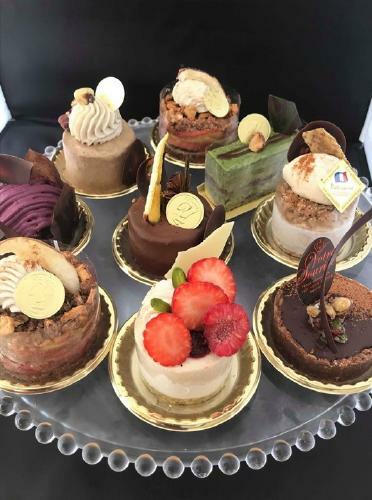 Located just 20 minutes away from Kyoto Station via train is Patisserie YoupiYoupi, where you can find vegan desserts and sweets. Patisserie YoupiYoupi is a healthy patisserie using organic ingredients and, whenever possible, uses no additives. There are also macrobiotic vegan, gluten-free, and raw desserts. The art-like desserts here are truly nutritious. Check out Patisserie YoupiYoupi’s Instagram for the latest shop information and updates. With a history of over 1200 years, many visitors of different nationalities and religions visit Kyoto. The restaurants and food establishments we have introduced in this article are leading a new dining and food culture from the interaction and intercultural exchange with these guests. We strive to continue distributing healthful and helpful information, so if you found this useful, feel free to share this article! Details at each establishment may vary from the information presented here. We recommend contacting the store ahead of time before visiting as an extra precaution.